In the early 1960s I was in grade school, and my mother let me stay home to watch NASA’s Mercury and Gemini spacecraft launches on TV. We’d follow the whole exciting run-up and count-down, and cheer for blast-off, willing the fiery ship up, up and away into space. This gave me my life-long love of space travel stories. Every moment of Star Trek the original series, the next generation, the movies. Star Wars amazed me with its realistic hardware, like Luke’s rusty little flying car – it felt so real! I never miss a space flick on the big screen if I can help it. I carried my space fandom into adulthood, thrilled when the Shuttle began to fly, and devastated when the Challenger burst apart before my eyes in the Florida sky. Then we lost Columbia, and the shuttle missions withered to an end. While we may not be launching as many humans into orbit, NASA has stayed busy with amazing planetary missions and probes bringing us closer to the planets, moons, asteroids, and comets. Today, the incredible Cassini mission to Saturn and its moons begins its final mission, 20 years after it lifted off from earth. For nearly 13 years Cassini has amazed with the data and imagery from the moons, rings and storms of Saturn. Watch this. This is epic space opera, folks. And this one is REAL. In ancient times, (or when I was in grade school) the planets were very smooth, like billiard balls. 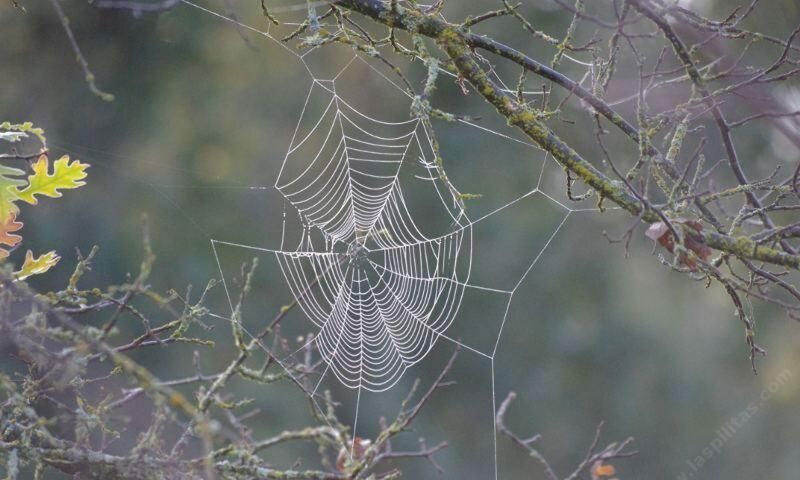 We had no detailed images, only descriptions of what they might be. Images of the galaxies and nebulas were quaintly fuzzy. 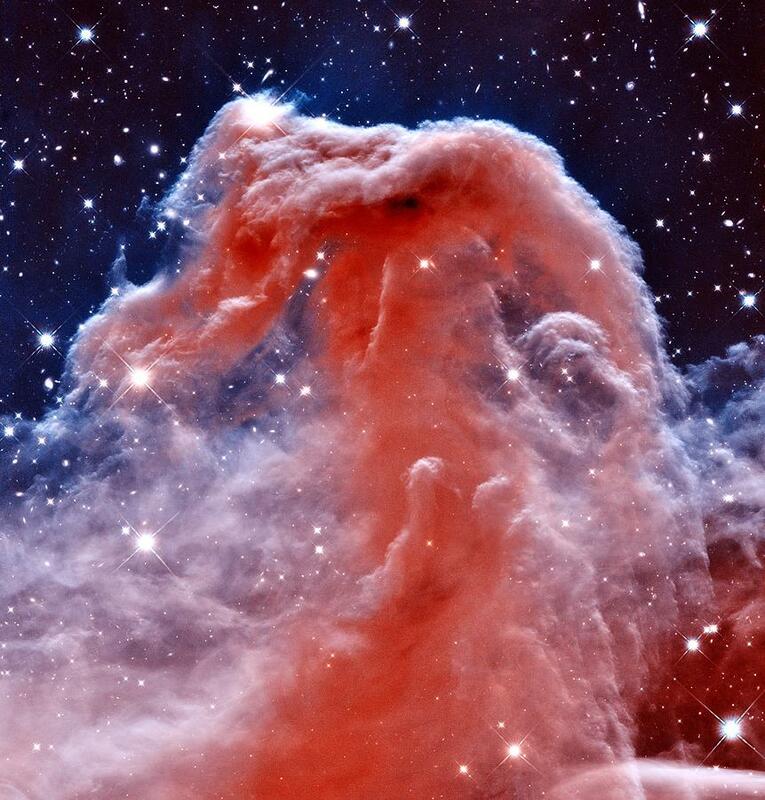 This recent Hubble image of Horsehead Nebula shows a different animal. Over the past 40 years we humans have sharpened our focus. The Hubble Space Telescope and numerous planetary explorations have yielded not only amazing data but astonishingly detailed images as well. Dramatic view of the Pluto system as NASA’s New Horizons spacecraft flew in for close-up on July 14; then passed behind Pluto to see the atmosphere glow before watching the sun passes behind Pluto’s largest moon, Charon. Watch this a few times and enjoy the ride: how you find the bright dot in all that darkness, spiral in, and then glory in the uniquely Plutonian landscape. This, the orb that had it’s planetary status revoked! Astrologically Pluto has a profound gravitas, the inescapable resonance of the everpresent but unseen, representing our own soul. Prominant Astrologers had some interesting things to say about Pluto’s change in status. 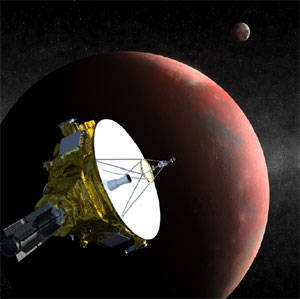 Scientists no doubt had sound, rational reasons to exile Pluto from the traditional solar system and transfer its realm to the Kuiper Belt with the other dwarf worlds, but they were also under the influence of deeply unconscious forces too. The expulsion of Pluto marked a symbolic turning point in the triumph of scientism, a mode of thinking that values only what’s visible, measurable, and categorizable. But Pluto is more than the rocky planetoid representing it: Pluto is an essential phase of human consciousness. The overall downgrading of Pluto is a milestone in the modern attempt to depreciate the soul’s mode of awareness and make it subsidiary to the deductive mind. To banish Pluto is to deny that living in the soul has any value to us. See how smooth it looks? Now watch the video with actual photos. And used to being dissed, exiled, albeit at tremendous cost to cultures that do so. Of course human dementors would like to stick their fingers in their ears, and say, “no, no, no, we deny the invisible. We deny the dead, the invisible, the principle of power, the abuse of power known as plutocracy, now rampant.” Death is cheap, not valued, marketed wholesale, so that even the god of death is appalled.